Hapa is a Hawaiian term used to describe a person of mixed Asian or Pacific Islander racial/ethnic heritage. Whilst being a global phenomenon, ‘mixed-race’ means different things in different contexts. ‘Mixed-race’ individuals make sense of their mixed heritages by drawing on interactions with intimate others from their social networks. Based on an empirical study conducted in Scotland, this paper seeks to explore the linkage between mixed identities, society and families. 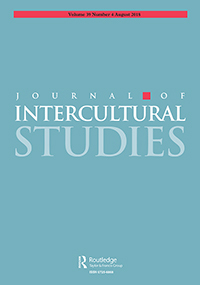 Examining first-person accounts derived from interviews with self-identified mixed Scots, this paper delineates the dynamics involved in ‘mixed-race’ identifications and it contends that the ways in which mixed individuals make sense of their mixedness are profoundly influenced by their early experiences at home. This paper analyses qualitative data from in-depth interviews to examine the interrelationship between expressed identities and their experiences at home. The focus of analysis is placed upon the ways in which families are factored into the process of negotiating racialised differences by those who had grown up with limited knowledge about their non-Scottish heritage. This paper suggests that the role of families is two-folded: on one hand, it generates symbolic resources for children to negotiate racialised difference; on the other hand, it serves as a key site for the development of racial ideologies. The two roles of families shed light to understand the formation of mixed identities. Aspinall, Peter J. and Miri Song, Mixed Race Identities (Basingstoke, Hampshire: Palgrave Macmillan, 2013), 218 pp.